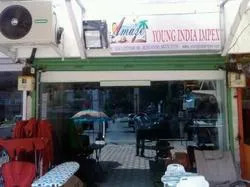 Young India Impex is the company engaged in Importing and trading/distributing the high quality products mainly related to Touring / Camping / Trekking purpose, Various Folding furniture products for indoor and outdoor/garden purpose and also unique design in Folding Self standing Mosquito net bed canopy etc. 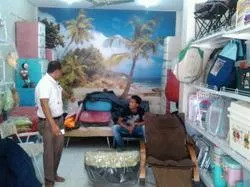 The company is a sole proprietary concern existing in business operations since the year 2009 selling their products under the brand name of “AMAZE” (Trade Mark for Folding Furniture & Folding Self standing Mosquito net Bed canopy categories) having very huge network of the authorized retail outlets with premium and reputed show rooms in 6 states and about 25 cities across India as on today. Also, company’s own brand show room is located in “SURAT” city of Gujarat State. Beside this, the company has secured great confidence of the group of the remotest customers of elite class who have purchased the products so far through ONLINE orders too. The company is inclined and committed to cater the best quality products sourced directly from the world renowned quality product manufacturers, in service of the citizen of India who are with the distinguished taste, lavish life style preferring high quality and long lasting products. Not only that, the company is also committed to provide the extent possible after sales support for their products. We are desirous of satisfying appetite of people with the products having unique design and creation which provide ultimate comfort, relaxation, outstanding status and leisure/pleasure feel by our beautifully designed products with international standards. We are still expanding our horizons in different directions across India to develop our presence in still more number of states and cities and spread mesmerizing fragrance of “AMAZE” to make people’s life more comfortable with artistically crafted new product range. We always welcome suggestions and feedback from the customers/well wishers. We also welcome our existing customers to come forward with their feedback and comments about our products they are using, because we consider your valued opinion is the foundation of our progress. We have established a spacious and capacious warehouse, which facilitate bulk storage of the offered products. 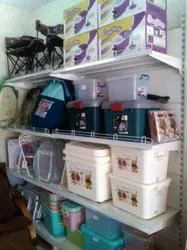 Our warehouse is divided into various sub sections, which help in the proper identification of Kids, Home Furnishing and Outdoor Accessories at the time of their dispatch. We have installed various safety devices in our warehouse for having protection from fire, dust, storm, leakage and other external disturbances. Moreover, our unit is well connected with transportation network, which helps in delivering our consignments at the clients' door step within due time. We give full credit to our employees for our commendable status in the market. These professionals have the vast experience and are well-versed with every aspect of this domain. They work in synchronization with our clients to know their exact requirements. The professionals of our firm can also work under pressure situations and are always ready to serve our clients in an efficient manner. 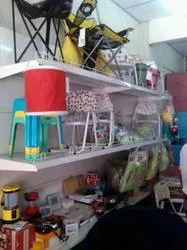 To deliver an wide array of Kids, Home Furnishing and Outdoor Accessories products to the clients, we have collaborated with some of the most reputed manufacturers based in the market of East Asia. The vendors use quality grade fabric, wood and other material in designing and developing the products. Moreover, they also test the quality of these products on various parameters before the final dispatch. We share a healthy relationship with our vendors, which aids us in offering optimum quality products. We have been able to create a favorable niche for ourselves in this competitive market, owing to the transparent dealings and ethical business policies. All the products offered by us are in accordance with national as well as international quality standards.